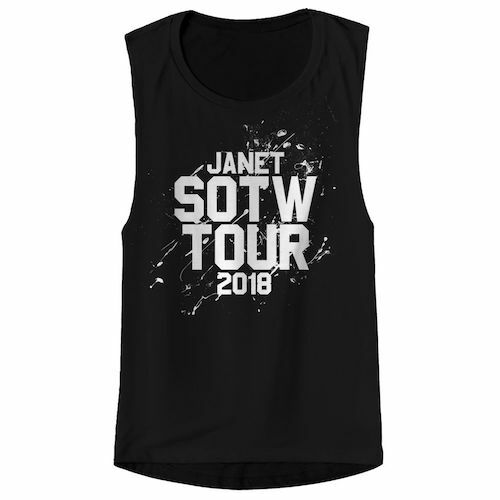 Black crew neck tee with a rainbow photo of Janet on the front, with the State Of The World 2018 tour dates on the back. 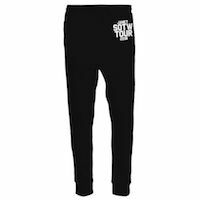 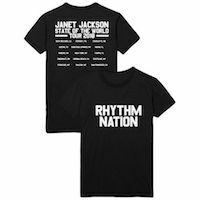 Black crew-neck tee with Rhythm Nation on the front, and the 2018 State Of The World Tour dates on the back in white. 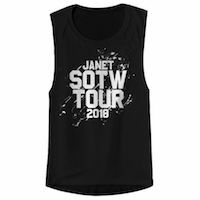 Black muscle tank with Janet SOTW Tour 2018 on the front. 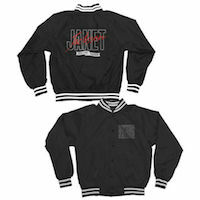 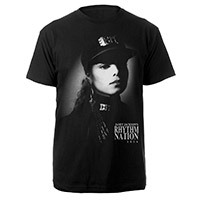 Black satin jacket with Rhythm Nation on the front chest, and Janet Jackson Rhythm Nation banner on the back. 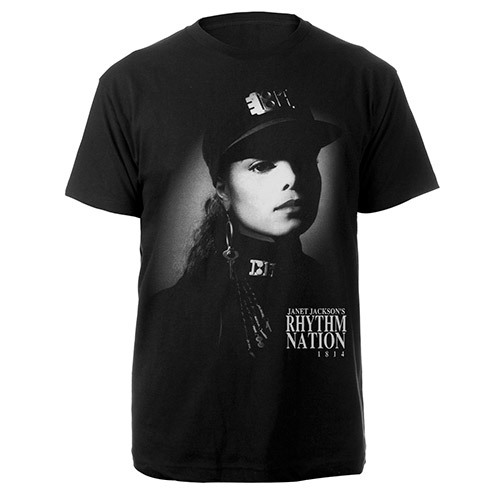 Black T-Shirt featuring Janet Jackson Rhythm Nation on the front. 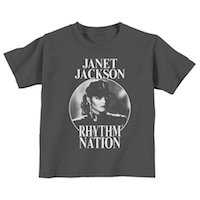 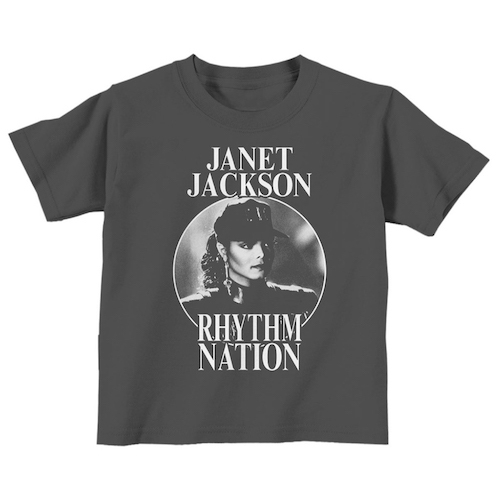 Charcoal grey toddler tee featuring the Rhythm Nation Jant artwork on the front.